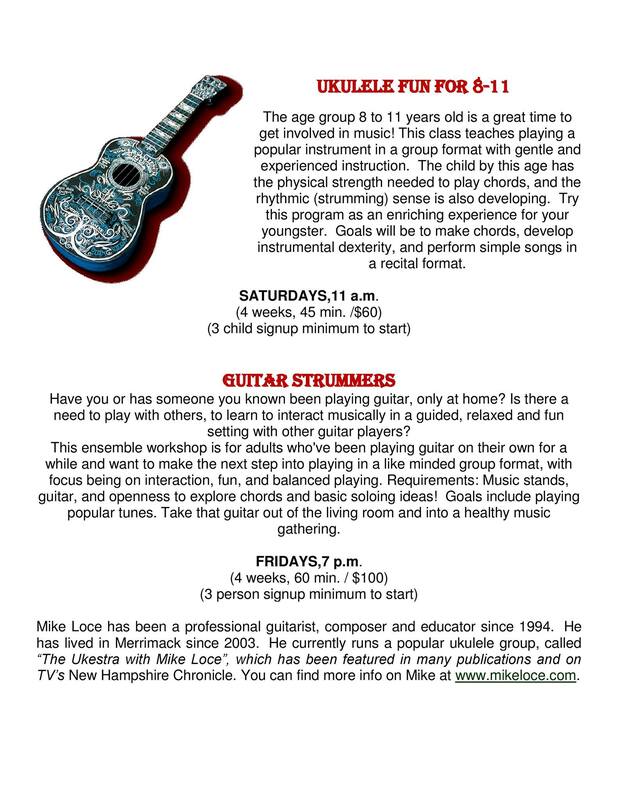 I am currently available for private lessons on guitar, ukulele, bass, songwriting, music goals, theory and more at my home in Merrimack, NH. 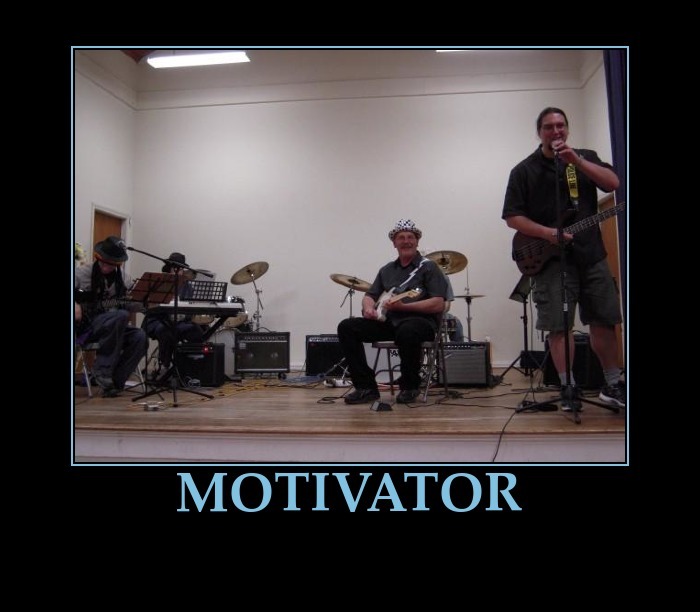 The job is to help people build on their inspiration for music. Children to adults are welcome of all ages and abilities. I’ve been creating music programs, ensembles and performances for various institutions for 15 years. Comfortable teaching area at my residence. I have gift certificates available for family and friends, in various dollar amounts. 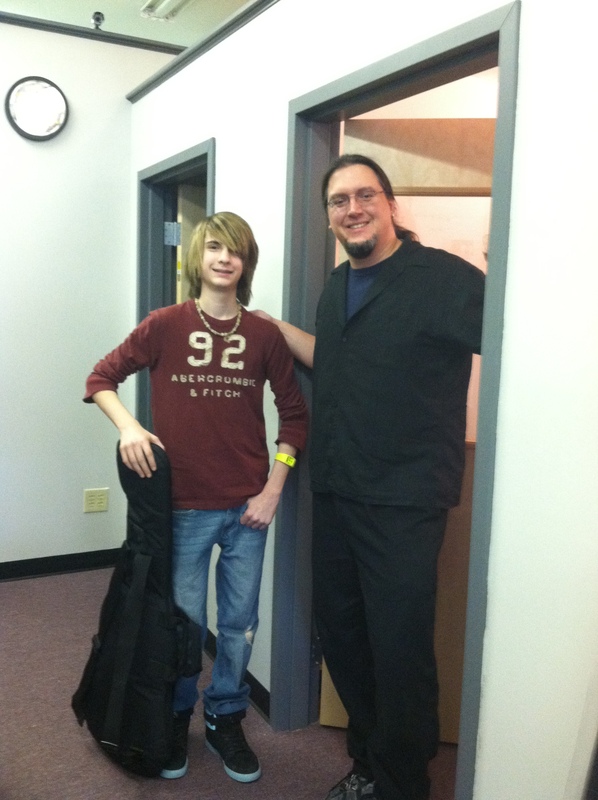 ~ Professional performing musician and teacher of over 25 years experience. ~ Children to adult, any level of play. Learn how to “do it right” and enjoy the instrument. ~Let me teach you how to approach your playing from a new perspective. ~ All styles of music. ~Pre K music workshops and interactive classes. 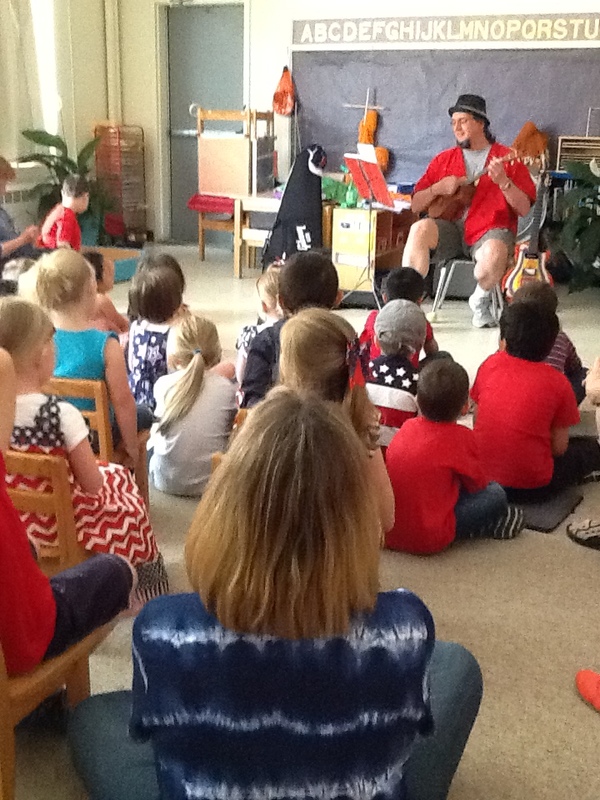 A children’s school music presentation in Bedford, NH. Working as a staff teacher. 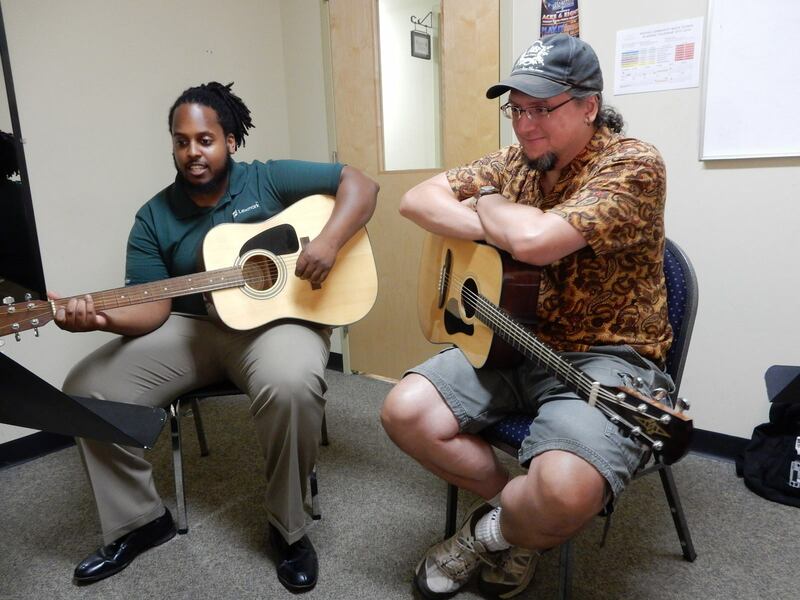 ~ Topics including songwriting, technique, performance preparation, music technology and fun application of skills! Custom-tailored lessons. 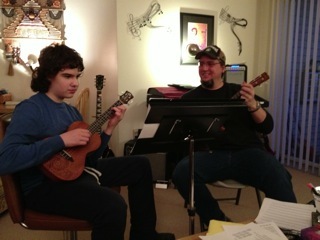 ~ Band camp, group ensembles, and songwriting workshops. Samples of classes I create, produce and run for various institutions. 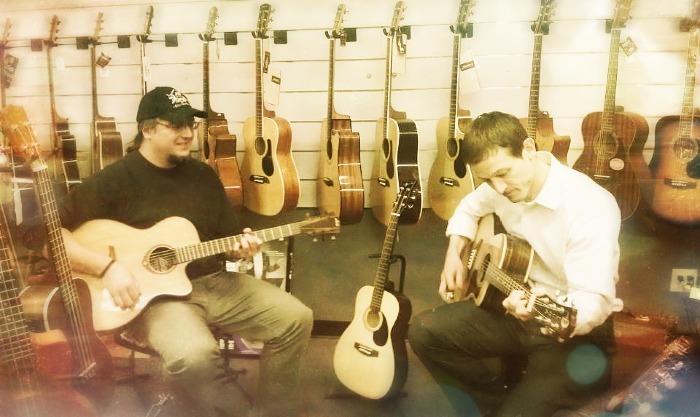 One needs to jam in a music store. If you’re not excited about music, try a session and see what I can show you. 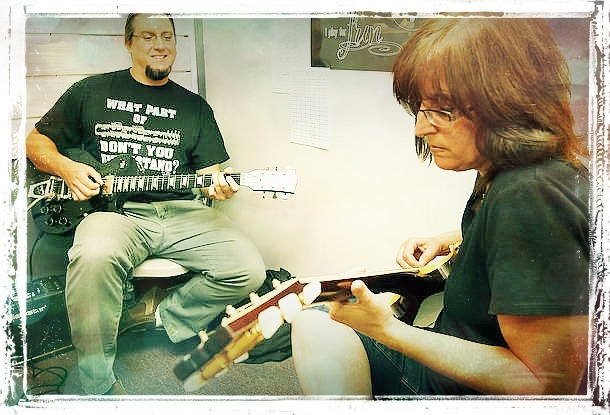 ~ ”Guitar tech” (basic repair) services/teachings also offered. ~Beginning students always welcome, low pressure. ~Leave every lesson feeling happy and inspired! 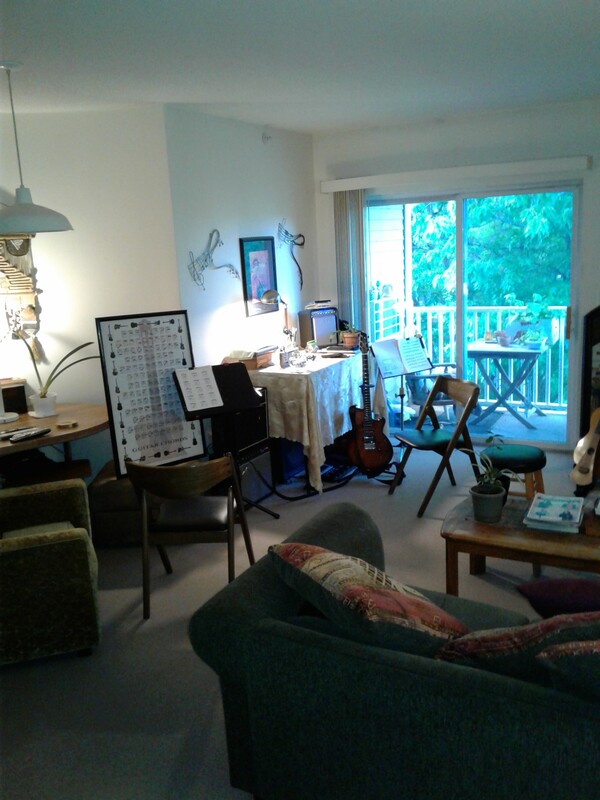 Hey there, saw your flier in building 9 at bowers landing about the group play, I don’t feel like I’m quite skilled enough for that but am interested in lessons, I feel it would be better to do that than keep on the path of “figuring it out myself”. I’ve played piano for about 20 years and recently I’ve branched out and have been dabbling in guitar acoustic and electric, bass, and uke. My primary interest is bass although I’d like to become proficient in all further down the road.